“Less lethal” is big in the world of law enforcement. 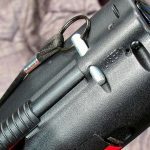 Whether it’s shotgun beanbags, tasers or oleoresin capsicum (OC) pepper spray, the idea of taking down a resistive subject short of slinging lead has gained traction over the past three decades, especially now. The idea is to temporarily disable an aggressor while allowing police to avoid the dangers of going hands on. In fact, both less-lethal training and technology have advanced significantly. If a trip to jail is on the program, for example, and the soon-to-be transportee forcefully demonstrates other plans for the evening, the best outcome for everybody concerned is the one with the least injuries. Less-lethal technology has largely replaced techniques that often resulted in a detour to the hospital. Less-lethal tools increase safety for all participants in such situations. And as a retired cop, I wish we’d had more of what’s available now back then. One of the tools we did have was OC spray, and it could be very effective on the job. 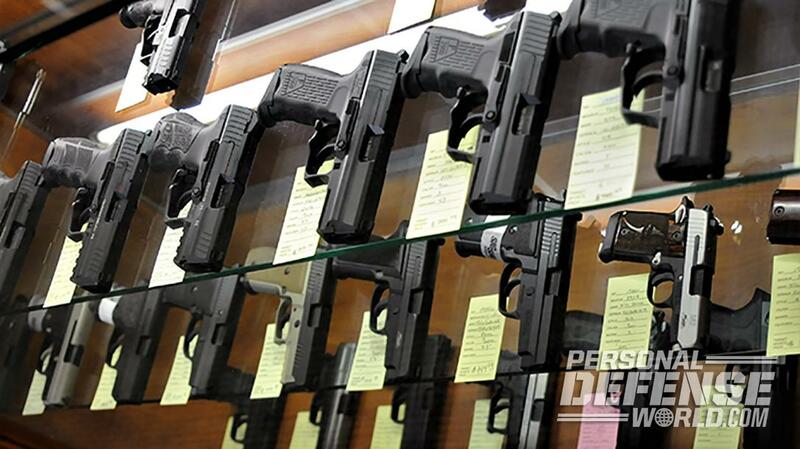 Originally developed for cops, once it caught on, it quickly spread to the civilian market. A similar parallel is happening now with the new PepperBall LifeLite. The PepperBall LifeLite is a device that combines an OC launcher with a 5mW laser sight and a 350-lumen LED flashlight. Designed to be easily portable, if not exactly pocket or purse friendly, the LifeLite does its business in a black, heavy-duty polymer body weighing in at 1.75 pounds and measuring 11.25 inches long. Triangular in cross-section, the body uses 13 indented chevrons along two sides for a non-slip grip. Additionally, the launching port, laser and flashlight are all situated at the front end. The light’s on/off button is on the bottom of the triangle; the horizontally grooved sliding section on top serves as a both a switch for the laser and a safety cover for the ball-launching “trigger.” In the rear position, the sliding toggle covers the red trigger; slide it forward to expose the trigger for firing. To fire a ball, line up the laser on your projected target and push down hard on the trigger. The unit comes with a safety pin lanyard; the pin end blocks the sliding trigger cover from going forward when it’s inserted through a hole in the cover’s travel channel for storage. It then has to be pulled free grenade style to fire a ball. Two 3-volt CR123 batteries powers the LifeLite’s circuitry. The base package runs fine off the CR123s. However, optional accessories include a rechargeable battery kit with an AC wall charger, a 12-volt plug-in cigarette-lighter-type charger and a rechargeable battery that replaces the CR123 cradle. The company placed the battery compartment inside another sliding panel up front on the right side. The launcher uses tried-and-true 12-gram CO2 cartridges that are easy to acquire from a variety of sources. Load the cartridges by unscrewing the retaining plug in the face of the unit next to the LED lens. Then, insert the cartridge pointed end first, and tightly re-screwing the plug down. The loading chamber for the balls is at the back end; rotating the cap releases it to remove a brass-bodied, spring-loaded magazine tube. The launcher can hold up to five balls; load them, insert the brass magazine back into the chamber and lock it in place again. The sighting laser is a bright one as far as consumer-grade lasers go. But don’t expect to get much distance out of it outside in broad daylight. You’d be looking at maybe 7 yards or so realistically, depending on the lighting and whether your target’s wearing light or dark clothes. This is just the reality of lasers; if you’re expecting a bright dot at 20 or 30 yards at high noon, forget it. As a practical matter, the LifeLite can easily outshoot its laser distance-wise in full sunlight. At night or in limited lighting, though, the laser is a different matter. The laser was easy to pick up against a row of houses 300 yards away in the dark. And at the practical engagement distances where you’d expect to need something like this launcher, that red dot will be plenty bright enough to find in subdued lighting conditions where you’d most likely be carrying it, and at most close-in distances where you’d be likely to need it. The flashlight function operates independently of the laser. It’s usable regardless of the position of the launcher’s switch cover. Folks can also use the flashlight with or without switching on the laser. In dark lighting conditions, the flashlight can be switched on to identify a threat. Then, pull the pin to use the targeting laser and launch the OC balls. The trigger here is deliberately heavy. PepperBall doesn’t want it going off accidentally. And as the unhappy participant in more than one OC cloud, I can say that you don’t want it going off unintentionally, either. The unit comes with five live OC PepperBalls and 10 inert practice balls with the basic package. Use the practice balls on inert targets to get an idea of what to expect. This is not a toy, and the impact from one of these balls can cause injury. Don’t aim the LifeLite at a face, and don’t play paintball games with the inert balls. The plastic material used in the balls here is harder than what the paintball industry uses. Otherwise, the launcher has plenty of power to cause impact pain on a threat even without the 12-foot cloud from the ruptured PepperBall. And between the two irritants, it’s unlikely the threat will continue to advance once hit. If it does, the LifeLite can fire all five balls in rapid semi-automatic fire. No cocking, no manual operation beyond the switch cover and the trigger. The company says the effective range is 60 feet. Try firing a couple of the inert rounds at increasing distances to see how well the point of impact correlates with the laser dot as targets are farther away. The maker says out to that 60 feet, the point of impact will stay very close to the laser’s aiming point. The laser is adjustable, but it should come regulated close enough from the factory. I tested a couple of the inert rounds in my backyard. From chest level and roughly parallel to the ground, one ball traveled about 65 yards. However, I recovered another at 85 long paces. Neither one had ruptured, but they would have been traveling so slow at the end of those long trajectories that I didn’t expect them to. At 15 yards against a stone wall, I obtained very satisfying splats right where the laser dot indicated. And in case you’re wondering, the mechanical gas launching system is entirely separate from the electronics system; the launcher will operate even if the batteries are dead. One thing to keep in mind should you ever have to use this launcher: It’s designed to keep threats away from close proximity. So, don’t let a threat get too close. Once you launch, evaluate and leave the area immediately if you can disengage. Increase the distance between you and whoever’s after you if you can. That cloud you create is guaranteed to move, and if the wind’s in your direction, you’ll have additional problems to deal with. This is not an arrest situation where you’re required to move in; it’s an escape situation where you want to remove yourself as quickly as possible. Also remember that a direct hit isn’t absolutely necessary; laying down a cloud of powder from two or three balls at an attacker’s feet can also give you time to disengage. While the operating temperature range of the projectiles is from -30 to 150 degrees Fahrenheit, and the launcher can function down to 20 degrees, it’s best not to store the LifeLite in the glovebox of your car or truck year-round if you reside in places like Alaska and Arizona. The balls are officially rated for two years, but they’ve been stored for as long as 10 years and performed perfectly. The CO2 cartridge is not punctured until the first launch, which means that, once the cartridge’s seal is broken, it will lose gas to seepage eventually. Reload with a fresh cartridge any time you launch, before you carry again, and the gas system will be ready for use indefinitely. And the plastic ball material is not water soluble in case you were wondering. 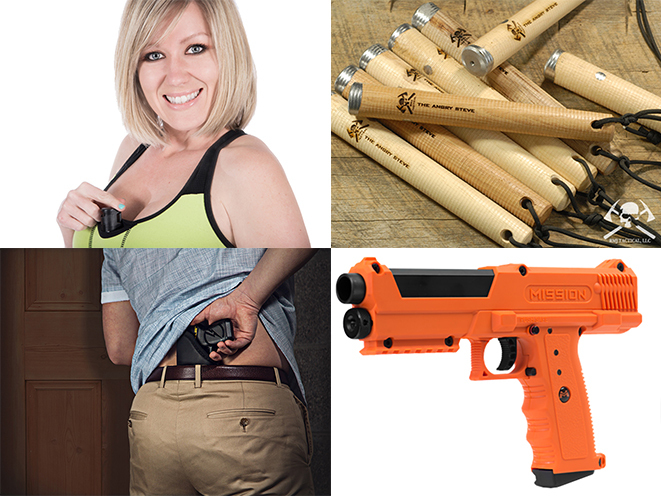 The LifeLite kit includes the main unit, five live OC PepperBalls, 10 inert practice balls, three CO2 cartridges, two CR123 batteries and the lanyard, all for $299. Other accessories are available, like the rechargeable kit, a cartridge/ball refill kit, a wall mount, a carrying holster and CR123 batteries. For more information about the PepperBall LifeLite, visit pblifelite.com. 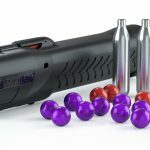 The post PepperBall LifeLite Combines Light, Laser and Pepper Spray Launcher appeared first on Personal Defense World.